Arne Larsson is a man of actions. He seldom regrets anything. Except when he a couple of years ago, cut up a large quantity of alder into firewood. 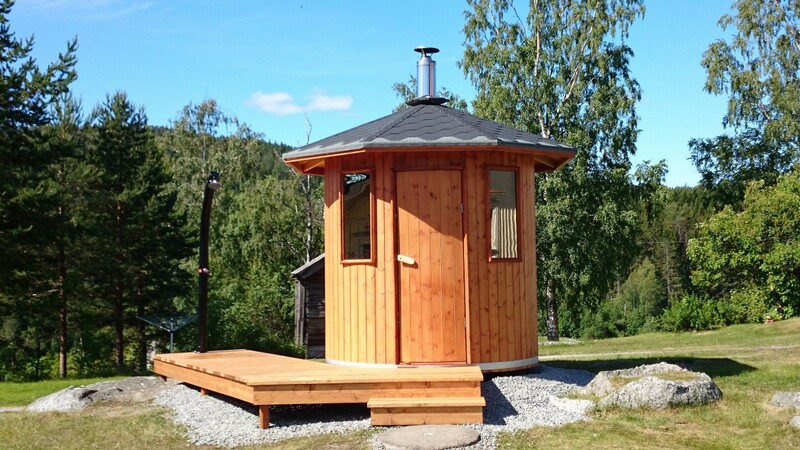 ”Alder is the most beautiful sort of wood in the Swedish forests,” says Arne, who recently built a sauna, panelled with spalted and oiled alder. Together, the Larsson couple have finished several building projects. They have sawn and planed the timber themselves. 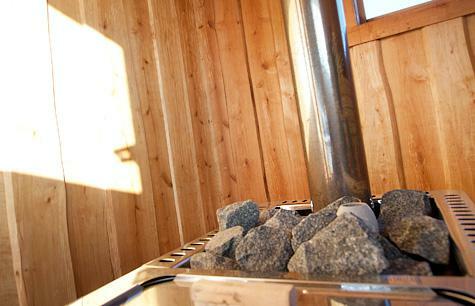 The latest addition is a firewood-heated sauna. Here, Arne has corrected his mistake of burning up alder. On the inside, the sauna is panelled with spalted and oiled alder. The benches are, of course, made of aspen, and the handle on the inside of the door is carved out of elm. “I picked up elm and other exciting sorts of wood in Örebro when they felled trees to make room for enlarging the crematorium,” says Arne. 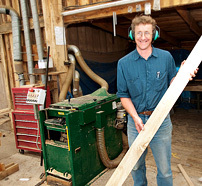 But even if there are several interesting sorts of wood, Arne holds a rubbish sort of wood the highest: alder. If it is treated right. “When it’s fresh-cut the wood is reddish yellow. But if you cut it up immediately, it becomes nondescript after it’s dried,” says Arne, who wants wood that is full of life. He has come up with a solution. Let the felled alder lie one year before cutting it. Then stack the timber up using spacers, and put heavy weights on the stack in order to prevent the unruly alder wood from warping. Not everything becomes straight, but the most of it will if the trees are fairly straight grown. ”It is important that the logs are not left lying too long. When the bark starts coming off in large chunks it is urgent to start sawing. Then, the wood has obtained character, and this will show even more with the help of wood oil,” says Arne. You just have to look inside the sauna to support that information. Correctly treated, alder is far from rubbish. At least not to those who have their own sawmill.